Fantastic semi-detached country house with 3 bedroom, 2 bathroom located just a a 10-15minute walk to the town of Albox where you can find all amenities. 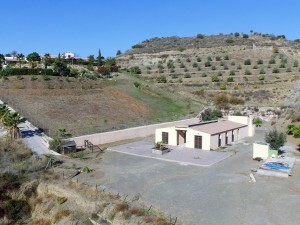 This property is accessed via a tarmac road from the town of Albox. It is a two storey property with a build size of 160m and it is situated on a large plot of 1830m mostly fenced. To the front of the property is a spacious terrace with room for off road parking. At the front there is a large garage door and also a nice entrance door. Through the main entrance door is a hallway with a marble staircase leading upstairs. To the left a door leads into the garage/living area. 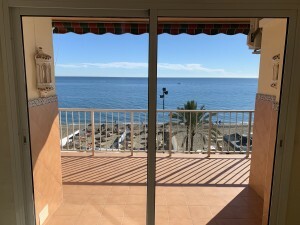 At the moment it isn't used as a garage and the current owners have it set up as a spacious living area comprising of a lounge, fireplace, kitchen and utility area. From here there is a door leading outside to the rear terrace and another door leads to a shower room. Upstairs there are three double bedrooms, all good sizes. There is a family bathroom and another lounge/dining room. 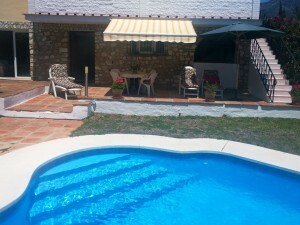 To the rear of the property there is a large terraced area with beautiful views of all the valley. Beyond this terrace there are other platforms of land below all fenced in. 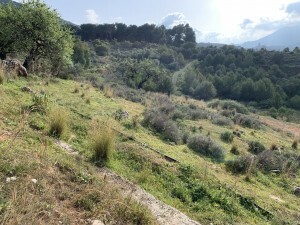 The rest of the land is open and there are various olive trees planted. It has mains water and electric connected! Contact us now!